Heed these words, brave warrior. Never enter a LARP kingdom without a solid defense. 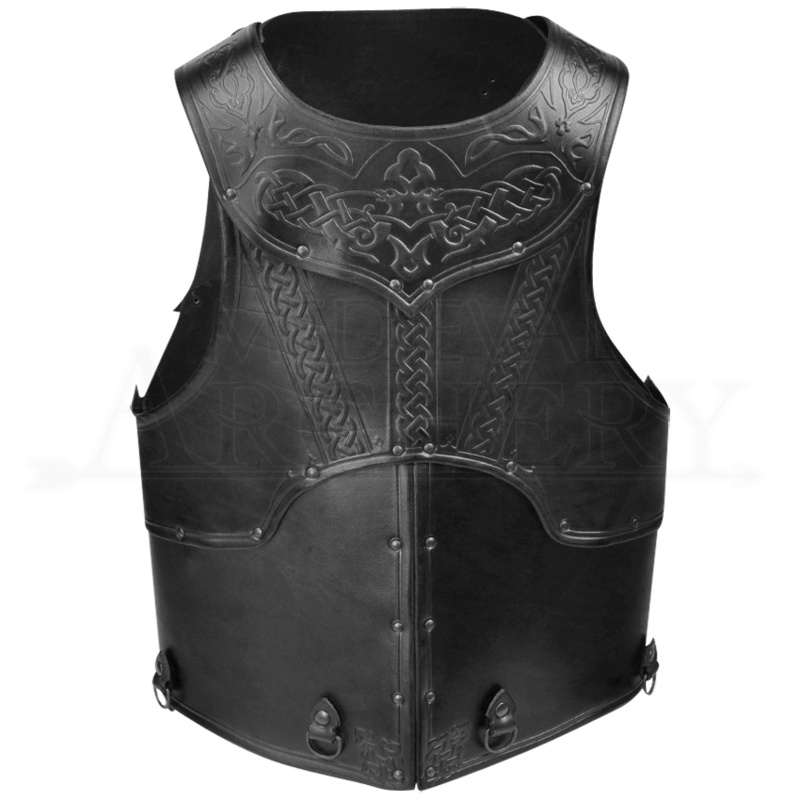 Crafted from multiple riveted segments, the Celtic Mantikor Leather Cuirass offers the protection you need when braving an unpredictable world. This harness features an attached gorget and richly detailed embossing. Rounded edges offer improved comfort, while the segmented design and offset edging enhances the deflection power. Celtic knotwork decorates the gorget and the front midsection. Eyelets run along the bottom hem, providing easy attachment of tassets and other accessories. Customize the fit at the sides with two adjustable buckle straps. 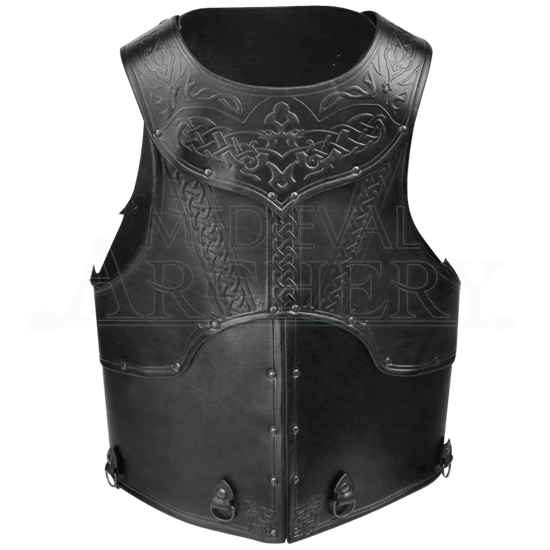 The straps at the shoulder make it easy to combine the Celtic Mantikor Leather Cuirass with the Artax Leather Pauldrons.